In a dramatic shift from its usual process, Jeanswest has introduced a new menswear range sourced and made entierly in Australia. The Homespun collection was designed to better connect with the customers who have demanded increased traceability and transparency. “There’s a story behind each garment in the Homespun range, from the handmade bootmakers in South Australia, to the denim being washed at a Brooklyn laundry,” said Adam Lloyd, general manager of product, Jeanswest. Denim jeans, cotton tees, fleece sweaters, merino wool beanies, scarfs, socks, leather belts and suede desert boots all made up a full spectrum collection, bringing together seven of Australia’s most well-known suppliers. 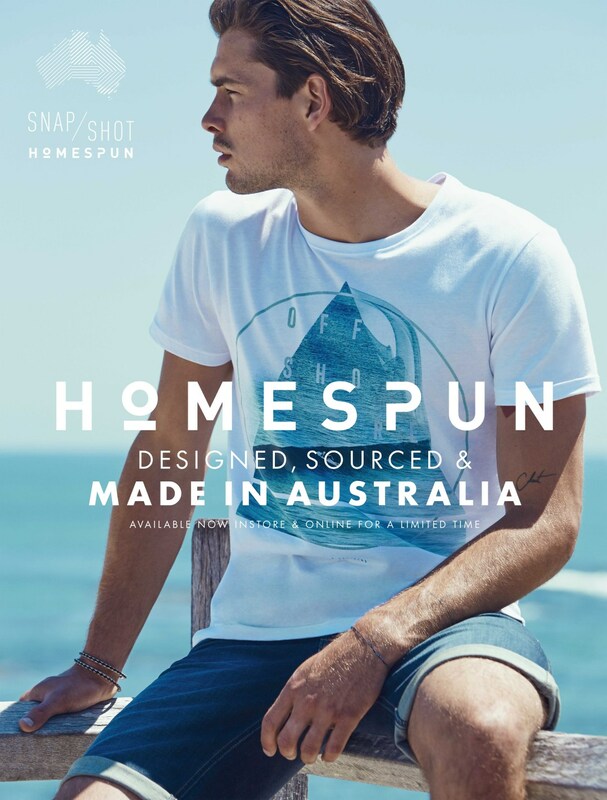 The homespun idea was initially introduced in 2015 when the brand begun manufacutring its Homespun Tees, which were also 100 percent locally sourced and manufactured.